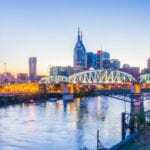 NASHVILLE, TN — “We have got to do more than nothing,” said Pastor Howard Jones, Senior Pastor of Fairfield M. B. Church and Candidate for State Senate, District 19, at a Town Hall Meeting to discuss ways to prevent violence in our schools and our communities. Since January 1, 2018, there have been more than 11 reported gunshot victims age 17 and younger in Nashville-Davidson County. Week after week, a teenager is involved in some kind of shooting. As of Monday, Feb. 26, nationally the latest mass shooting was in Parkland, Florida, where 17 students and faculty were shot and killed by an alleged 19 year old student of the school, which continues the trend of violence. Lives were cut short, fear has increased, safety and security have been questioned with these incidents. 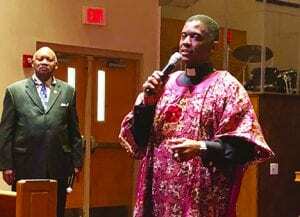 Dressed in African attire, Pastor Howard Jones speaks to listeners at the Town Hall Meeting at Greater Bethel A.M.E. Church about Preventing Violence in our Schools & Communities. 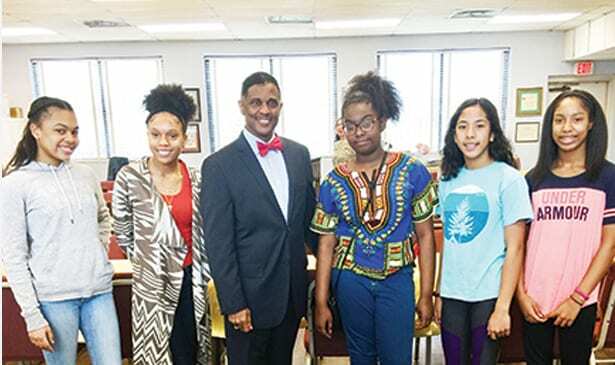 On the issue of teachers being armed in the classroom, Melanie Freeman, a local educator said, “Teachers should teach and trained security should handle combative and firearm issues.” Pastor Jones also spoke to a group of young girls during their etiquette session for the Les Gemmes organization. It was a resounding “NO” on the issue of teachers carrying guns in schools. Many students are already uncomfortable with teachers and with guns, the situation would be volatile,” said one student. Charles Drew, a former police officer said, “There are no easy answers, we have got to work together –parents, schools, communities, business, activists and others- -to make one step after another to end violence. According to the Constitution, students as well as all citizens are entitled to equal protection under the law. People are crying out loud saying they feel vulnerable and not protected. “We have got to change the culture of killing to caring, darkness to light and hate to love,” said Jones.